The Irish Society for Prevention of ruelty to Animasls publish a Legal Handbook for the benefit and information of its members, local and national animal welfare Inspectors, other animal welfare bodies in Ireland, and the Garda Siochána, who have the statutory authority over animal welfare in this country. Chapter 14 deals with Hunting and the Protection of Wild Animals, and is set out in Q & A format, with 53 questions asked and answered. These are set out below, with acknowledgments to the ISPCA and the joint authors of the Handbook.  While all species of wild animals including wild birds are covered, Deer Stalkers, shooters and hunters generally will undoubtedly find much of the information relevant and informative. Q.1 What is a protected wild animal? Q.2 Who in accordance with the Act has the function of conserving wildlife? Q.3 Are there any general protections in relation to wild animals give under this Act? Q.4 What protections can be afforded to a wild bird which is not specified as being protected ? Q.5 Is the hunting of wild birds prohibited? Q.6 Are there any exceptions to this prohibition? Q.7 Is it an offence to injure a wild bird in the process of hunting the animal? Q.8 Is it an offence to wilfully remove eggs from the nest of a wild bird, or the nest itself? Q.9 Is it an offence to destroy, injure or mutilate the nest or eggs of a wild bird? Q.10 Is it an offence to disturb a protected wild bird on or near its nest? Q.11 Are there any defences available to persons charged with such offences? Q.12 Which party bears the onus of proof in relation to such defences? Q.13 Does a wild animal which is not a protected wild animal have any protection under this section? Q.14 Is the hunting of protected wild animals prohibited? Q.15 What is an exempted wild animal? Q.16 Are there any exceptions to this prohibition? Q.17 Is it an offence to injure a wild animal while in the process of hunting it? Q.18 Is it an offence to wilfully interfere with or destroy the breeding place of any protected wild animal? Q.19 Are there any defences to section 23(5) available to a person charged thereunder? Q.20 Are there any specific provisions in relation to any animals? Q.21 Is it an offence to capture or humanely kill a protected wild animal? Q.22 Are there any specific time restrictions in relation to the hunting of wild animals and wild birds in general? Q.23 Which party bears the onus of proof in relation to defences to prosecutions under these provisions? Q.24 What happens where a person or organisation carries out an action which falls foul of more than one of the relevant provisions – can they be prosecuted under all sections? Q.25 Do these provisions affect hare coursing? Q.26 Can a master of a hunting pack get a group licence? Q.27 Can open seasons be altered or adjusted? Q.28 Can a person hunt with firearms? Q.29 What is a qualified person? Q.30 Is it permissible to use a snare, trap or poison to hunt or capture a protected wild animal? Q.31 Are there defences to these prohibitions? Q.32 Is it an offence to sell traps and snares? Q.33 What can a person do if they see a wild bird being used as a scarecrow or decoy for the purposes of hunting? Q.34 Is it also an offence to use a stuffed wild bird for the purpose of hunting any other protected wild bird? Q.35 Can a licence be granted to use live birds as decoys? Q.36 Can a mechanically propelled vehicle be used for hunting protected wild birds and animals? Q.37 Can a person hunting a protected wild bird or animal use a lamp, mirror, light torch orther artificial light, reflecting or dazzling device or appliance for the purpose of hunting? Q.38 Is it an offence for a person to enter land of which they are not the owner or occupier in order to hunt wild animals or birds, with or without a firearm? Q.39 What can I do if I see someone on my land hunting with a firearm without my permission? Q.40 What can a person do where damage is being done to their livestock, poultry or crops, pen- reared birds, other fauna or flora, woodland forestry or fishery by protected wild birds or animals? Q.41 Who may prosecute this offence under section 44? Q.42 On whom does the onus of proving where unlawful entry to land is alleged? Q.43 What can I do if I see someone selling protected wild animals or birds? Q.44 Are there any defences to Section 45(1), which prohibits the sale of wild birds? Q.45 Can a dealer have a wild animal or bird or bird’s nest in his possession? Q.46 Is it an offence for a restaurant to purchase a protected wild bird or animal from a dealer? Q.47 What defences are available to such an offence? Q.48 Are there any specific provisions in relation to eggs? Q.49 Is it an offence to aid or abet the commission of an offence under the Act? Q.50 What powers do the Gardai and authorised persons (appointed by the Minister) have? Q.51 Can a person lose possession of property as a result of a conviction under this Act? Q.52 Have any orders been enacted pursuant to or affecting the Act? Q.53 Does the 1976 Act amend other legislation? Wildlife in Ireland is protected by a piece of legislation known as the Wildlife Act, 1976 as amended. The purpose of this legislation is the conservation of the wildlife ( flora and fauna (including game).The Act is very comprehensive and covers many specific methods of hunting an trapping an animal or bird, protecting what are known as protected wild animals and birds. . In the main any breaches or suspected breaches of this Act should be reported to the Gardai who may take steps towards prosecuting such offences. LAND MAMMALS Badger, Bat Species, Deer Species, Hare Species, Hedgehog, Otter, Pine Marten, Red Squirrel. MARINE MAMMALS Dolphin species, Porpoise species, Seal species, Whale species. Protected Wild Bird is any wild bird other than a Bullfinch, Carrion Crow, Greater Black-backed Gull, Herring Gull, Hooded (Grey) Crow, House Sparrow, Jackdaw, Jay, Lesser Black-backed Gull, Magpie, Pigeons (including Wood Pigeon, but not including Carrier Pigeons, Racing Homing Pigeons or Doves), Rook, Starling . The Act stipulates that the Minister for Tourism, Fishery and Forestry is vested with the function of conserving wildlife (section 11)..
Q.3 Are there general protections in relation to wild birds and animals given under this Act? Q.4 Can a wild bird specified as not being a protected wild bird have specific protections? Yes, according to Section 22(2) the Minister may specify in regulations pursuant to Section 22 that Section 22 and the protective measures therein apply equally to a non-protected wild bird as set down in Schedule 3. Q.5 Is the hunting of protected wild birds prohibited? Yes, in accordance with Section 22(4)(a) it is an offence to hunt a protected wild bird without a licence to do so. Yes, by order and pursuant to Section 24 the Minister may by order decree that certain species of wild bird may be hunted during certain time periods. These periods are known as open season on hunting certain animals. In addition if you are the holder of a licence to hunt this animal you may do so. If a person wished to prosecute someone for an offence under section 22, it would be necessary to ensure that the hunting was not permitted by order of the Minister during the said period or that the person was not a licence holder. Yes, unless there is permission to hunt the bird either in accordance with a Section 24 order or a licence issued by the Minister, Section 22(4)(b). Q.8 Is it an offence to wilfully remove the eggs or the nest of a wild bird ? Yes, pursuant to Section 22(4)(c) it is an offence to tamper with a protected bird’s nest unless this is done in accordance with a licence. Q.9 Is it an offence to destroy, injure or mutilate the nest or eggs of a protected wild bird? Yes, this is an offence pursuant to Section 22(4)(d). Q.10 Is it an offence to disturb a protected wild bird on or near the nest? Yes, Section 22(4)(e) states that it is an offence to disturb a protected wild bird on or near the nest. Q.11 Are there any defences available of which a person hoping to prosecute should be aware? “while engaged in ornithology wilfully to disturb a protected wild bird, or while so engaged or engaged in agriculture, fishing or forestry unintentionally to injure or kill a protected wild bird, or to remove for conservation purposes or to destroy unintentionally the eggs or nest of a protected wild bird in the ordinary course of agriculture, or (Note Section 22(5)(c) was substituted by SI No. 397 of 1985 Regulation 3. – addition of conservation). to kill humanely a protected wild bird which has been injured in the manner described in paragraph (b) or captured in the manner described in paragraph (d) or injured in the circumstances described in paragraph (h) of this subsection. to take birds of a protected wild bird for the purpose of having them hatched out for re-population, or reintroduction into the wild or for such purpose, to move such eggs from the nest of such a bird to that of another bird of the same species, or (Note Section 22(5)(f) was substituted by S.I. No. 397 of 1985 Regulation 3). This last amendment to Section 22(5)(h) requires that any damage done in the process of construction be unintentional which seems to place an onus on the developers to take reasonable care and to where possible remove the eggs for conservation purposes. This onus was clearly not present under the 1976 Act as it stood. There is also a general defence in relation to all acts carried out in pursuance of a statute or statutory instrument which might result in a breach of this section . Another defence would be to commit the offence for the purposes of preventing a damage of the type specified in Section 42(1) from being done by the wild animals. Such an offence in such a case would become permitted according to Section 22(6) . Q.12 In relation to the prosecution of the offences on which party is the onus of establishing the defences placed ? The burden of proof is specifically provided for in Section 22(7) in relation to subsection 4(e) offences. It states that the prosecution need not show that the offender was not engaged in ornithology at the time of the offence as alleged. No reference is made in relation to the onus of showing that one of the exemptions applies (which includes the ornithology defence) one must then wonder whether the prosecution must prove that the Defendant does not fall within the subsection 5 exemptions in order to prove their case. The better view it is submitted is that despite this specific reference to the first of the subsection 5 categories, the onus in relation to proving whether the defence falls within the excused categories rests with the defence and that this specific reference to the burden of proof was inserted to remove any doubt which might arise in relation to this specific provision, Section 22(4)(e). Yes, according to section 23(2) the Minister may specify in regulations that the protective measures in relation to protected wild animals contained in section 23 apply equally to non-protected wild animals. In the absence of such regulations, however, unless an animal is listed in the Fifth Schedule, it will not be protection by the Section. Yes, in accordance with section 23(5)it is an offence to hunt a protected wild animal which is not an exempted wild mammal without a licence to do so. Further it is an offence to hunt an exempted wild mammal without a licence to do so (whether a full licence or a seasonal licence). Q.15 What is an exempted wild mammal? Section 2 refers us to section 25 for the definition of an exempted wild mammal. Section 25 states inter alia that an exempted wild mammal is one the subject of a Ministerial order permitting the hunting of the same for a certain specified period in a stated area. This order may limit the total amount of such animals which may be hunted and may distinguish between different species of the animal. Effectively such orders declare an open season on certain types of animals. Yes, by order and pursuant to section 24 the Minister may by order decree that certain species of wild birds may be hunted during certain time periods. These periods are known as open season on hunting certain animals. In addition, if you are the holder of a licence to hunt this animal you may do so. If a person wished to prosecute someone for an offence under section 22 it would be necessary to ensure that the hunting was not permitted by order of the Minister during the said period or that the person was not a licence holder. Q.17 Is it an offence to injure a wild animal while in the process of hunting the animal? Yes, unless there is permission to hunt the bird either in accordance with a section 25 order or a licence issued by the Minister, Section 23(5)(c). Q.18 Is it an offence to willfully interfere with or destroy the breeding place of any protected wild animal? Yes, pursuant to section 23(5)(d) it is an offence to interfere with or destroy the breeding place of a protected wild animal. Q.19 Are there any defences to section 23(5) available of which a person hoping to prosecute should be aware? to capture an injured or disabled wild animal for the purpose of killing it humanely, or tending it and later releasing it. to kill humanely a protected wild animal which is either injured in the manner described in paragraph (a) of this subsection or captured in the manner described in paragraph (d) of this subsection, or so to kill a protected wild animal injured in the circumstances described in paragraph (c) of this subsection. There is also a general defence in relation to all acts carried out in pursuance of a statute or statutory instrument which might result in a breach of this section, Section 23(7)(iv)”. Another defence would be to commit the offence for the purposes of preventing a damage of the type specified in Section 42(1), Section 23(8). e.g. damage to agricultural crops, flora, other fauna etc.. If Section 3(3) of the Whale Fisheries Act, 1937 permits the act to be done it will not be held to have been an act in contravention of this section, Section 23(7)(iii). Q.20 Are there specific provisions in relation to any animals? Yes, unless a licence is granted by the Minister for educational scientific or other purposes as specified in the licence, Section 23(6). Q.22 Are there any specific time restrictions in relation to the hunting of wild animals and birds in general? Yes, Section 37 states inter alia that it is an offence (subject to Section 42) to hunt a woodcock between sunrise and sunset, and any other wild bird (other than a duck or a goose) during the period one hour after sunrise and one hour before sunset. Note: If the person has a licence pursuant to Sections 22(9) or 23(6) and is hunting for certain purposes they may be exempt from these restrictions, Section 37(2). Q.23 In relation to the prosecution of the offences, on which party is the onus of establishing the defences placed ? The burden of proof is specifically provided for in Section 23(9) in relation to subsection 7(a) where it states that the prosecution need not show that the offender was not engaged in agriculture, fishing or forestry or in zoology or in any other scientific pursuit, at the time of the offence as alleged. It is submitted (as it was in relation to wild birds) that despite this specific reference to the first and second of the subsection 7 categories, the onus in relation to proving whether the defence falls within the excused categories remains with the defence. Q.24 What happens where a person or organisation carries out one action which falls foul of a number of provisions of the 1976 Act and of Section 8 of the Protection of Animals Act, 1911? Can that person then be prosecuted under all sections? If the offence falls within Section 34, Section 22 or 23 of the 1976 Act and Section 8 of the Protection of Animals Act, 1911, Section 34(7) specifically precludes conviction under all of these sections in respect of the same act. Perhaps a prosecution could be bought under all of these sections with the conviction simply reflecting one breach. It may however be preferable to choose on section which best fits the offence and run with that. No. It will not be unlawful to kill hares by coursing at a regulated coursing match held in a specified place and during a specified time as stated in the order of the Minister in relation to hares. In addition it will not be unlawful to hunt hares using a pack of beagles or harriers within the period specified by the Ministerial order and in the stated area, Section 23(7)(i). Yes, Sections 26 and 27 permit the licensing of hound hunting for a specified period in a specified area. The Minister may grant licences to hunt deer and otters using hounds, Section 26. The protection of these aforementioned animals is specifically dealt with in the 1976 Act. Yes, the Minister may for weather reasons or any other reasons in the interests of conservation of fauna prohibit the hunting of any animal for a specified period and in a specified area where the animal is an exempted wild mammal or an animal which is the subject of a Section 24 order, Section 27. Yes, if they are in possession of a firearms licence in accordance with Section 29. Section 28 also allows hunting with firearms where the person is a qualified person. is the guest, invitee, servant or agent or possesses the written authority of a person who is entitled to sporting rights over the land. Q.30 Is it permissible to use a snare or a trap or poison to hunt or capture a protected wild animal? No, Section 34 prohibits the use of traps or snares to hunt or capture protected wild animals. This is a wide provision and on its face prohibits in relation to wild birds and animals what it often some of the cruelest treatment of animals; setting traps and laying poison . Yes, if the animal or bird is not a protected one this section does not apply, Section 34(2)(b). Also if the affixing a snare or trap is done pursuant to statute or statutory instrument there is a full defence, Section 34(2). If regulations made pursuant to the section are in force the act may be deemed to be other then an offence, Section 34(2)(a). Yes, Section 34(6) creates the offence of selling traps and snares without a licence. Such an activity should be reported as the same is an offence according to Section 35 (1). Q.34 Is it also an offence to use a stuffed decoy wild bird for the purpose of hunting any other protected wild bird? Yes, pursuant to Section 35 it is an offence to use such a decoy for these purposes unless the same is used for the purposes of hunting wild ducks or geese. Note it is also an offence pursuant to Section 35(1)(d) to use electrical or other instruments to emit the sound of birds for the purposes of hunting protected wild birds unless this is used for the purposes of hunting ducks, geese or plover. NB While these items may be used in relation to the hunting of geese and ducks there may be in existence Ministerial orders made in accordance with Section 34(5) specifically prohibiting their use in geese and duck hunting in certain areas during certain times. are strict conditions attaching to such licences in relation to the watering, feeding and confinement of such a decoy. In addition the decoy may only be used to hunt birds of the same species, Section 35(5). Q.36 Can a mechanically propelled vehicle be used for the hunting of protected wild animals and birds? No, unless there is a licence to use a mechanically propelled vehicle, vessel or aircraft for the hunting of a protected wild bird or animal, the same is prohibited pursuant to Section 36. Q.37 Can a person hunting a protected wild bird or animal use a lamp, mirror, light, torch or other artificial light – reflecting or dazzling device or appliance? Q.38 Is it an offence for a person to enter onto land of which they are not the owner or occupier in order to hunt wild animals or birds with or without a firearm? Section 44 states that this is an offence and further states that it is an offence to shoot over such land if the same is not done with the permission of the owner. Q.39 What can I do if I see someone on my land hunting with a firearm wild birds or animals without my permission? The owner /occupier, the holder of a Section 29(5) licence or the holder of sporting rights has the right to request that the person who is committing a Section 44 offence and is in possession of a firearm furnish them with their name and address, Section 44(2). Q.40 What can a person do where damage is being done to their livestock, poultry or agricultural crops (including vegetable or fruit), pen-reared birds, other fauna or flora in a woodland or forest plantation or a fishery by protected wild animals or birds? Notwithstanding any other provision of the Act, the Minister may permit an authorised person to destroy the said animals, Section 42. There are a number of conditions attaching to this section. This SI is enacted and takes effect notwithstanding the provisions of the Wildlife Act. The owner occupier of the land, and the holder of sporting rights over the land be that an individual or a person representing a sporting body holding such rights over the land, Section 44(4). Q.42 On whom does the onus of proving that the Defendant was on the land without lawful authority lie? Section 44(7) expressly provides that the onus of proving that the Defendant had no lawful authority to be on the land is for the prosecution. Where it is asserted that there was lawful authority the onus shifts to the Defendant. Q.43 What can I do if I see a person selling protected wild animals or birds? It is an offence under Section 45(1) as amended by S.I. No. 397/1985 for a non-licenced person to sell protected wild animals or birds whether dead or alive (taxidermy). The relevant authorities should therefore be contacted. Q.44 Are there any defences to this Section 45(1) provision prohibiting the sale of wild animals that a person attempting to prosecute should be on the look out for? “a)The sale by a person of any live specimen of a protected wild bird or protected wild animal solely for the purposes of propagating or improving the quality of such species, the sale by a person of live hares to a coursing club affiliated to the Irish Coursing Club. These defences take into consideration that there are licences which permit the killing of a protected species and that as such a licence holder is entitled to sell his kill. There is also an exemption given to the Irish Coursing Club in relation to live hares. Some protected wild animals and birds are endangered species or are in danger of becoming such. Therefore the legislature have given cognisance to the fact that on occasion some of these species may in fact benefit from the sale of another of their species in order to propagate their kind. Q.45 Can a dealer have a wild animal or bird or bird’s eggs in his possession? No according to Section 45 (2) as this constitutes an offence. Yes, if the dealer has no wildlife licence to so deal, Section 45(4). Q.47 What defences are available? The only relevant defence open would be to show that the animals/birds were obtained lawfully, Section 45(8) as amended by S.I. No. 397/1985. Q.48 Are there any provisions specifically in relation to eggs? Ss. 13 A licenced wildlife dealer shall not have these eggs in his possession. Note Sections 46, 47, 48 and 49 relate to wildlife dealer licences. Q.49 For the purposes of the 1976 Act is it an offence to aid and abet in the commission of an offence? Yes, anyone aiding or abetting in the commission of an offence under the 1976 Act is guilty of an offence, Section 69(1). Q.50 What powers do the Gardai and authorised persons (appointed by the Minister) have under the Act? Section 72 lays down the extensive powers of both the Gardai and authorised persons. They may if they reasonably suspect a person of being guilty of a Part II (Sections 11-44) or Sections 45, 47, 51, 52, or 53 offence stop such a person at a reasonable time, require that they furnish their name and address, demand production of the flora or fauna or product and seize the same or part thereof as a specimen, Section 72(2). Further they may search any vehicle, vessel or aircraft which they reasonably suspect of being used for the transport import or export of flora or fauna or product or part thereof contrary to Sections 51, 52, or 53 and they may require that to facilitate the search the vehicle be stopped, Section 72(3) (a). They may open and search any package/container, Section 72(3)(b). Request that they be permitted to inspect any relevant documentation, obtain the name and address of the owner and the person operating or controlling the vehicle vessel or aircraft, Section 72(3)(c). Inspect any relevant books or records and take copies of the same and seize and detain any relevant document where there is a reasonable suspicion that an offence is or has been committed. Note : The powers as aforesaid are in addition to the Gardai’s existing powers of search and seizure, Section 72(6). Penalties are provided for in Section 74 and they are dependent on the provision of the Act which has been breached. Q.51 Can a person lose possession of any property as a result of being found to have committed an offence for the purposes of this Act? Yes, where a person is convicted of an offence involving a trap or snare etc. they may by order of the court forfeit the same, Section 76. The same applies where the offence involves a firearm. The owner or other interested party has a right to be heard in relation to the forfeiture. Q.52 Have any orders being enacted pursuant to or affecting this 1976 Act? Q.53 Does the 1976 Act itself amend any other pieces of legislation? Yes, Sections 62, 63, 64, 65, 66, and 67 amend a number of acts. Protection of Animals (Amendment) Act, 1965 , Sections 23-26, and Section 67 of the 1976 Act effectively reduces the remit of the 1965 Act so that it no longer applies to protected wild animals and wild birds. This entry was posted in Uncategorized on May 14, 2010 by Liam Nolan.